Take advantage of the early bird discount until April 5, 2019. 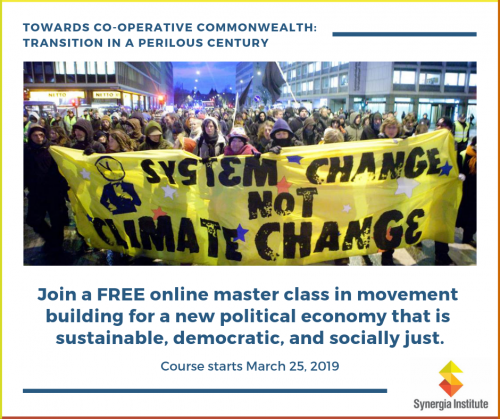 Join a conversation to explore how local organizing principles and approaches can contribute to the creation of more sustainable, fair and inclusive economies. Le d by Co-facilitators, Alejandra Bravo and Mercedes Sharpe Zayas, this interactive webinar will share the Power Lab's experience of connecting people and ideas for action to build local economies that strengthen communities and benefit everyone. Delve into how community economic development organizations might contribute to changing social conditions for your organization’s constituencies and how the people you serve can become a base for action. Understand how to centre equity-seeking groups as primary actors in decision-making and agents of making material gains in their communities. Register now and connection details will be emailed to you, as well as a reminder a few days before the session. 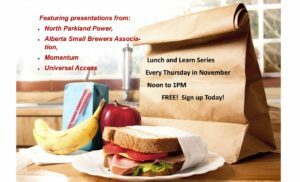 As the Director of the, Power Lab, a new leadership learning initiative focused on local organizing for a fair economy co-generated by the Atkinson Foundation and the Broadbent Institute. Active in the community benefits movement, she supports leaders working to build campaigns and coalitions organizing for economic opportunities for historically disadvantaged and equity-seeking groups. Alejandra contributes to movement building as a facilitator, trainer, mentor and strategist with various social change efforts. Previously she was Manager of Leadership and Learning at Maytree, where she designed and delivered political and civic training for emerging and diverse leaders. Alejandra has a 25-year history of working for progressive social change with grassroots, immigrant, and labour groups. She has worked as a community organizer, political staff and has been a City Council candidate in Toronto. Mercedes Sharpe Zayas is a community planner committed to movement building and economic justice in the urban form. Mercedes has been cultivating her participatory planning practice as the Workforce Planning Coordinator for the Parkdale People’s Economy, a network of over 30 community-based organizations and hundreds of community members organizing towards decent work, shared wealth, and equitable development in Parkdale. She has also worked as a Policy Research Intern at the City of Toronto’s Economic Development and Culture Division, a Research Assistant for the Metcalf Foundation’s Inclusive Local Economies Program, and a Graduate Research Assistant with The Public Studio. In her spare time, Mercedes is the Co-Director of Communications for PODER, a grassroots Latinx feminist organization in Toronto. She holds a Master of Science in Urban Planning from the University of Toronto and a Bachelor of Arts in Honours Anthropology from McGill University. The session begins with a presentation by Alejandra & Mercedes followed by a question and answer period. You will need speakers or a headset on your computer. To ensure your system will be compatible with our webinar platform, look at the Zoom quick start guide prior to the session. Universities, colleges and institutes can play a much more significant role in the design and construction of much-needed social infrastructure In Canada and globally, including affordable housing, child care centres, women’s shelters and seniors’ care facilities. The most effective and sustainable way to do this is through authentic partnerships with non-profit organizations and community groups that mobilize the necessary local knowledge and public, private and philanthropic resources to implement these complex projects. What kinds of social and green real estate projects are possible? 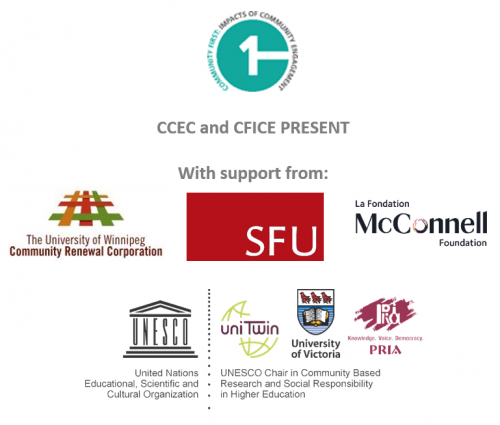 How can we structure effective community-campus governance and project-management bodies? What combination of financial instruments and sources can be used to finance social infrastructure? Webinar participants will be invited to pose their own questions online to the presenters before and during the webinar.